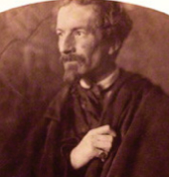 Frederick Locker-Lampson was a 19th century English poet, collector of rare books, a man of letters and a civil servant for a short period in his life. He was born Frederick Locker some time during the year 1821 at Greenwich Hospital in London, the son of Edward Hawke Locker who was Civil Commissioner of the Hospital. He had no real plans during his school days about what he wanted to do so he finished his education without going on to university and went to work in a colonial broker’s office. He moved from there to begin a short Civil Service career at Somerset House, and then at the Admiralty. He married into a famous family in 1850, his wife Lady Charlotte Bruce being the daughter of the Lord Elgin, of Elgin Marbles fame. Shortly afterwards he decided to give up his government work in order to concentrate on writing, citing ill health as a reason for his resignation. His literary output was relatively small with only three published collections of poems to his name. 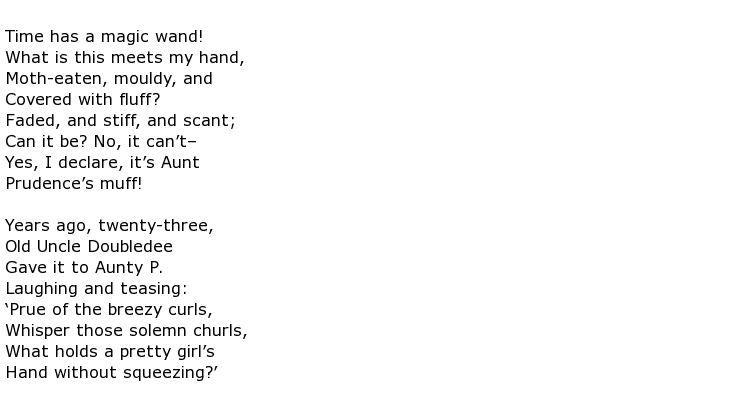 The first was London Lyrics in 1857 followed by a collection of light verse called Lyra Elegantiarum, published in 1867. His final book was Patchwork in 1879, described as a book of extracts. Locker was widowed in 1872 but married again two years later. He decided to add his wife’s surname to his own and thus became known as Frederick Locker-Lampson from then on. Like Lady Charlotte before her his new wife came from a titled family, her father Sir Curtis Miranda Lampson being a Baronet. His two marriages produced five children which some might consider surprising considering the very poor health that he had to endure throughout his adult lifetime. He was active socially with many famous literary friends including such names as Dickens, Thackeray, Carlyle and Ruskin. In fact he was acquainted with virtually all the famous writers around at that time. Apart from writing Locker was an avid collector of books, particularly first editions and rarities. He had so many that it was necessary to carefully catalogue them and his books, manuscripts and prints were all listed in what became known as the Rowfant Library, the name coming from his Sussex home. It would have to be said that Locker was not a great poet but, nevertheless, one who was amiable and readable in equal measures. His work was never commercially successful but, with his private income and his vast book collection, he was never really in that world to make money by his efforts. His poor health would have been a hindrance anyway, should he have needed to increase his literary output. Frederick Locker-Lampson died at his home at Rowfant on the 30th May 1895 at the age of 74. He was buried at Worth, a small village near Crawley in Sussex.